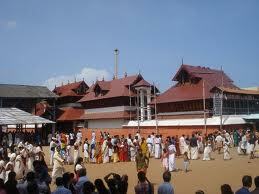 Here is Some information about Sri Krishna Temple in Guruvayur Kerala India. Guruvayur Temple Kerala is one of the most important and holiest pilgrim centres in Kerala, South India, attracting thousands of pilgrims from all over India. 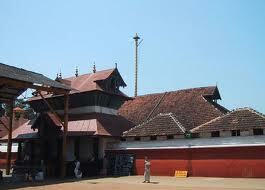 The major attraction is the temple of Lord Sree Krishna who is also called 'Guruvayurappan'. 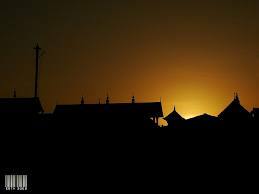 Guruvayoor, which lies 30 km from Thrissur, has become synonymous with the temple which attracts millions of pilgrims every year. The legend about the temple goes that Brihaspathi (Guru) found an idol of Krishna floating in a lake at the beginning of this yuga. 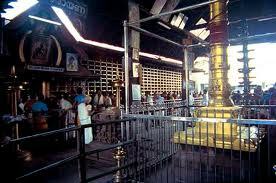 Together with Vayu, he installed the idol in a place called GuruVayuPura, which later became Guruvayoor. 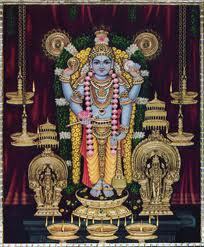 The main diety of the temple is thus Lord Krishna. The idol, made of Black Bismuth is in a standing position. Each of its four arms holds the conch, the discus, the mace and the lotus. The walls of the inner sanctum are adorned with murals and carvings. The most spectacular part of the temple is the Deepasthambham at the outer enclosure, which is a huge brass lamp made of thirteen discs to hold the wicks, seven metres high. When lit, the Deepasthambham lends a magical aura to the whole area. The architecture of the temple is grand and imposing, to say the least. The ‘Nalambalam’ which is a square hall has its outer gallery covered with oil lamps. The ‘Koothambalam’ is where performances used to be held earlier. 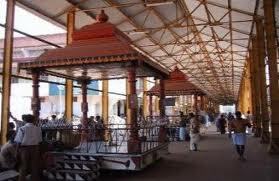 In the Oottupura, the lunch is served to devotees daily. The Rudratheertha is the temple tank in which devotees are supposed to take a dip before entering the temple. Only Hindus are allowed to enter the temple, which opens at 3 AM every morning. Offerings can be made throughout the day. There is a dress code as well, neither men nor women are allowed to wear trousers of any kind, the men may wear a dhoti and the women a skirt and blouse or sari. Food is also served to devotees free of cost. 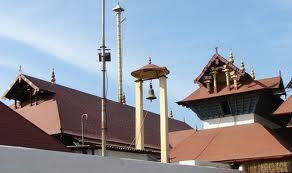 Guruvayur Sri Krishna Temple is about 5000 years old.The Guruvayoor Temple has an interesting legend behind it. It is said that the idol in the temple was work-shipped by Lord Brahma himself at the holy city of Dwarka. It was then installed in this place after Brihaspati and Vayu searched all the holy places on Earth. In 14th century “Kokasandesam” references to a place called Kuruvayur are made. As early as the 16th century many references to Kuruvayur are seen.In ancient Dravidian languages, “kuruvai” means “sea”, hence the village on the Malabar Coast may be called Kuruvayur.But according to Prof. K V Krishna Iyer the Brahmins had begun to come and settle at Kodungalloor during the period of Chandra Gupta Maurya . Trikkunavay in the Guruvayur documents is the same as Thrikkanamathilakam or Mathilakam mentioned in the Dutch and British records. And this place was in between Guruvayur and Kodungalloor. 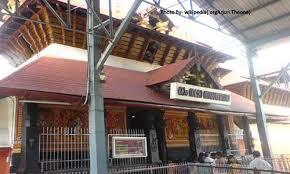 Guruvayur was Trikkunavay’s subordinate shrine since they were destroyed by the Dutch in 1755. That way Guruvayur must have come into existence before 52 AD. The story of Pandyan King building a shrine here may be a reference to the Azhavars , but they are all silent in their writing about Guruvayur. On November 30, 1970, a massive fire broke out in the temple.The famous Guruvayur Satyagraham was started by the Gandhians in 1934, led by Late Shri. K Kelappan. By Airport:Kochi International Airport is the nearest airport located 80 km from Guruvayur. Calicut International Airport is another nearest airport around 100 km from Guruvayur Sri Krishna Temple. 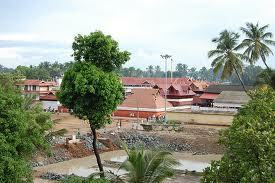 By Train:Thrissur Railway Station is the nearest major railway station about 29 km from Guruvayoor. Guruvayur Railway Station is also nearest railway station..
By Bus: Guruvayoor Bus Stand is nearest where Both Ksrtc and private bus services offers interstate bus services to almost all major cities in south India including Palani, Madurai, Mookambika, Ooty, Coimbatore, Dindigul, Salem, Mysore, Chennai, Mangalore, and Udupi. National Highway 17 (NH 17) passes through Kunnamkulam about 8 km away from Guruvayur.